Demlar Loop is a famous location in St. Louis where there is approximately six blocks of retail, restaurants, live music, cafés, and a Walk of Fame. It was given the name “The Loop” because in the past, streetcars from downtown “looped around” to return to the city and thus, “The Loop” was born. Since then, The Loop has expanded into St. Louis and continues to grow and has made it a popular attraction for visitors and a great location for businesses and communities in St. Louis. Chinese Noodle Cafe – you can eat many popular Chinese dishes including cashew chicken, sweet and sour pork, pepper steak, and fried tofu. However, the best dishes are the noodle dishes. It’s highly recommended that you try the noodle dishes as they are quite tasty and delicious. Three Kings Public House – If you’re looking for a tasty burger or sandwich, you’ve found the right place. Three Kings has excellent burgers and sandwiches. However, it doesn’t stop there. They also serve traditional pub snacks such as wings and nachos. It’s also a great place to grab a beer if you just want to relax with your friends and chat. 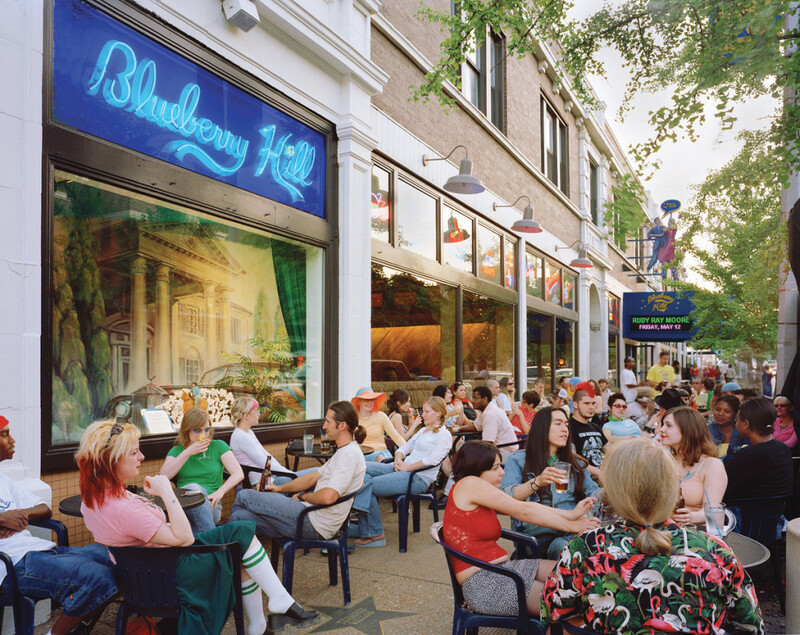 Blueberry Hill – This restaurant has a dart room, and Elvis room, and even a duck room! Try the burgers here because they are very tasty and delicious. The burgers are even better if you get them with onion rings or buffalo spicy fries on the side. The restaurant is also very friendly to vegetarians and vegans and you will be able to find many vegetarian and vegan dishes on the menu.